Although it is gradually being over-shadowed by other scandalizing political events, the recently concluded Ekiti governorship election was a brazen show of shame. Considering the rancour, brigandage and abuse of democratic practices, the election has shamelessly demonstrated that it is a foretaste of the charade that may emerge in 2019. Despite its unpleasant effervescence, the outcome did not come as a surprise to many. This is because year in, year out, this is the kind of script being acted during any election year. 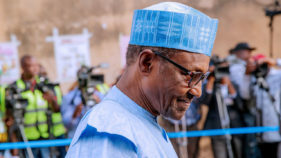 However, for well-meaning Nigerians who were optimistic of the ruling government’s supposed war against corruption, the drama of violence, defective card readers and vote-buying, must have been a rude shock, for it was a tell-tale of hopelessness and resignation. The clearest demonstration of this was the perceived rivalry between Ayo Fayose and Kayode Fayemi that had pitched loyalists of each of these men against other. 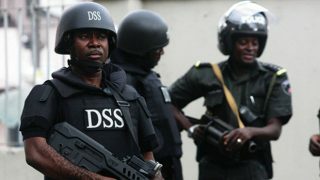 So bitter was the rivalry that there were incidents of sporadic gunshots, news of attempted kidnap, threatened disenfranchisement by the Peoples Democratic Party (PDP) against the All Progressives Congress (APC) and such counter-accusation by the APC against the PDP. Apparently in a bid to outdo one another in the contest, money, foodstuff and other commodities were shared by politicians of the major parties. Where the ‘charity’ works could not get to, the polling stations became the bazaars as votes were being bought and paid for in the open. Witnesses claimed that PDP was buying votes for N4000, while the APC purchased votes for N5000 per voter. Even a governorship candidate for Accord Party (AP) claimed that he got N3000 to vote for PDP. To compound this appalling development, the card readers provided by INEC became defective, since in many polling stations they were rejecting Permanent Voters’ Cards (PVCs) of duly registered voters. Concerning the failure of these machines, it is unfortunate that a bright idea turned awry. Had more diligence been done on this simple technology, that problem would have been solved. 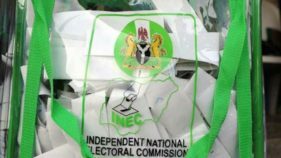 At the end of the crisis-ridden election, the Independent National Electoral Commission (INEC), by whatever means and against all odds, was able to announce a result. A score-sheet of the election showed the two major political parties as contenders for the governorship seat. 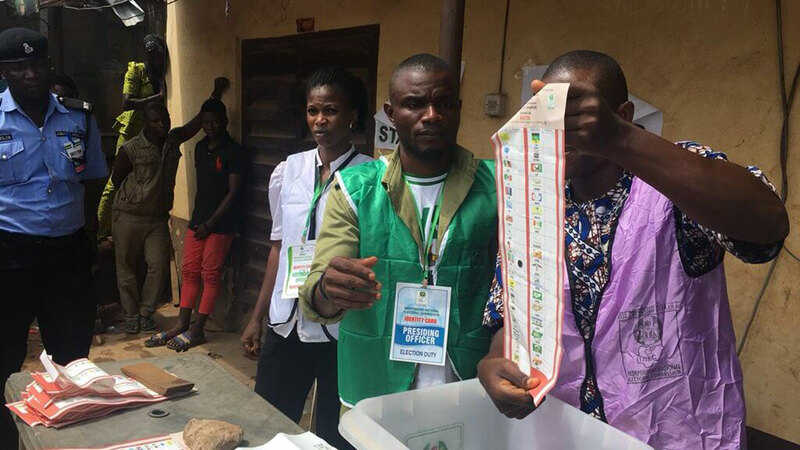 Whereas the APC got the majority votes in 12 local government areas to poll a total of 197, 459 votes, the PDP secured the highest votes in only four local government areas. This, indeed, is a far cry from the election of 2014 which saw Fayose trouncing Fayemi in all the 16 local councils of the state by polling 201, 090 votes as against the latter’s 120, 433. Unlike the defeat of Fayemi in 2014, this electoral victory did not generate any intellectual heat. Neither in its preparation nor in the election itself was there anything unusual to attract the attention of book makers. Instead the election was characterised by the familiar brashness, crudity and incivility that are associated with the power tussle of motor park officials. The prelude to the election itself fore-ran the irregularities that were to come. With a deployment of an estimated 30,000 police personnel excluding mobilisation of other para-military officers, the Ekiti election atmosphere was rank with the intimidating air of a Gestapo-like militarisation. The Government House was under threat and soldiers patrolled everywhere as if it were a war zone. Then came the verbal attacks and mutual accusation between the two major political parties. While the PDP staged a protest in Abuja complaining of possible traumatisation and harassment of Ekiti people due to over-policing and heavy presence of military personnel in the state, the APC was hell-bent on frustrating what it alleged as Governor Fayose’s third term bid in the guise of the PDP candidate, Prof. Kolapo Olusola. Here is the lesson for Nigeria: Despite the self-assurances of the governor-elect and the claims of a successful conduct of election from some observers, what took place in Ekiti State was not democracy. It was instead a sham and a travesty of democracy. This is not the change that was promised Nigerians. This is a subtle threat to democracy. Given the Armada of security forces deployed by the ruling party, the shameless activity of ‘vote buying’ by the two major political parties and the orchestrated moves by each of them to intimidate the other, it has become clear that both parties saw the election as a ‘do or die’ affair. Is this what to expect in 2019? Are all this dress rehearsal for some future event? Notwithstanding the odds against the election, there are lessons that our politicians need to learn therefrom. Firstly, the Ekiti election has come to expose the incivility and manifest selfishness of the present crop of politicians. It is a demonstration of the seeming hopelessness that Nigerians have been thrown into in the hands of incurably selfish and desperate, grandiloquent power hunters. Irrespective of the parties or the persons involved, Nigeria is gradually gravitating into a cesspool of unbridled money-politics of the most uncultured form. Instead of growing steadily in appreciation of the democratic culture, Nigeria, with each successive administration, is experiencing a steady drift from the conscious effort and mental preparedness necessary for genuine democracy. While money plays a major role in elections, especially in the presidential style of the democratic system of government, the deliberate attempt by the dramatis personae in the Ekiti elections to mortgage the conscience and freedom of choice of the electorate through compulsive monetary inducement is not only an abuse of the electoral process, but also an act of violence to the people. Coercion, manipulation, threat and systematic impoverishment of the people with the aim of inducing them with pecuniary hand-outs during elections, are expressions of utter disregard for the people. Nigeria, by this gesture, is rewriting the books of what it means to be democratic, albeit, in the most ignoble manner. Furthermore, the unpalatable consequence of compulsive money politics is the bequeathal onto oncoming generation of leaders of a tradition of disrespect for the protocol of leadership and the democratic process of party administration. As people have observed the flagrant disregard for internal democracy amongst members of the major political parties is sending wrong signals of party administration to aspiring politicians. This does not augur well for the good image of the country; it is a dangerous culture of impunity that is injurious to oncoming generation and inimical to future progress. Above all, parties should respect internal democracy. The intolerance and malicious intrigues experienced at the party level are the obvious realities replicated during elections. It is the hope of every Nigerian that, as Osun State prepares for its own governorship election in a few months’ time, its politicians would learn from the shortcomings and infelicities of the Ekiti State election. For once, let one decent election redeem the public image of this country and its people.